Everybody knows that screen recording is not a brand new feature in iOS 11. People were coping with this task with both official and third-party ways of recording their screens for a long time. iOS 11 is the first Apple's mobile system which has this feature as a built-in one. It is just introduced, so maybe it will be changed in future (or even revoked, but we won't focus on the minuses). However, we find this feature great and handy and have been waiting for it for quite a long time. 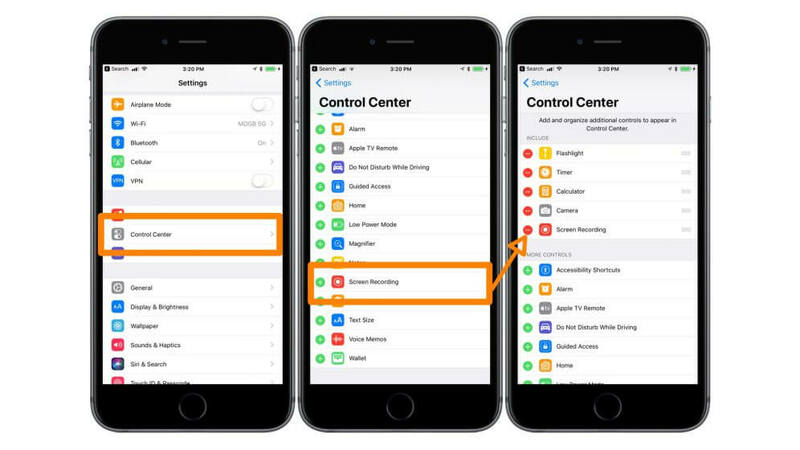 Now we want to tell you how to enable the screen recording feature in iOS 11, what is it for and what tips there are for using it. After enabling, the screen recording feature will be a swipe & tap away. We want to remind that before the iOS 11 release, people has to record their screens with third-party apps of QuickTime on a Mac. They had to connect iPhones with Macs to create a footage. Nowadays, everything is much simpler. In iOS 11, this functionality can be accessed in Control Center. This effective feature brings new opportunities to all the iOS 11 users. 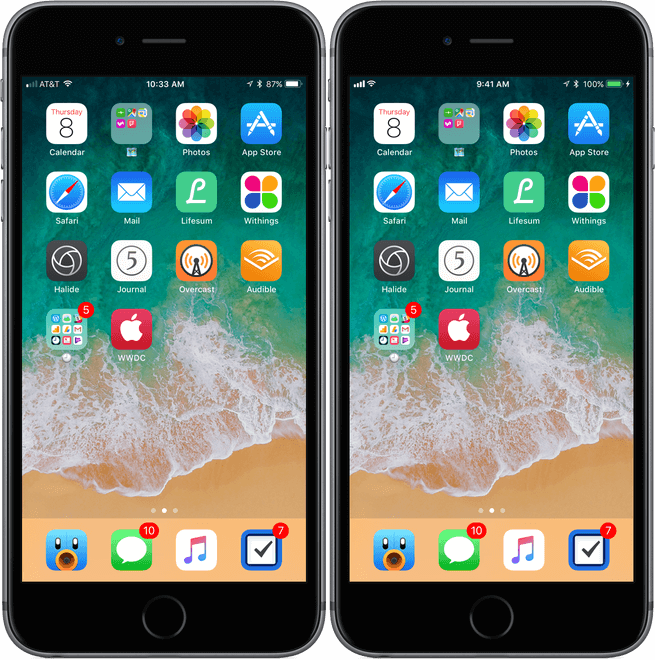 You will be able to share your screen recordings with your family members when you need to teach them how to do something on an iPhone. You can send videos of bugs to Apple developers. Moreover, you can create different video walkthroughs or 'How-to' tutorials and share them on YouTube. Open 'Settings', go to 'Control Center'. Move down through the list, add 'Screen Recording'. Turn off the 'Settings' screen. Swipe up from the screen bottom to open Control Center. Choose 'Screen Recording' to begin shooting video. Or use 3D touch to open up the menu. 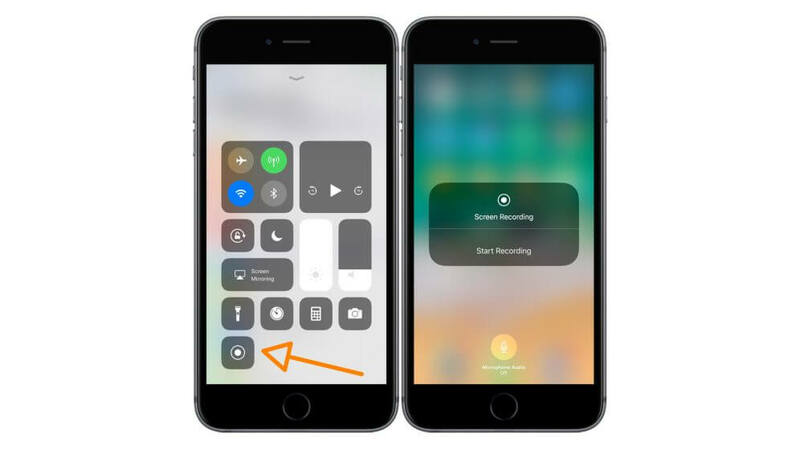 This feature records everything you do with your iPhone, so it will surely capture the moments of choosing Control Center and stopping the recording process. You could cut those moments with the help of the Photos app. Your video will look much cleaner. Another annoyance that may interfere the recording process may be notifications. Choose the Do not Disturb mode or switch your device to the Airplane mode. So, no push notifications will interrupt the process recorded on your video. You always your status bar while screen recording. This means that people will see a low battery level or a poor signal strength. Of course, this may not bother you, however, if you create a tutorial for your YouTube channel, better to be a perfectionist to make your videos the most awesome. If you want your status bar to look ideally, plug your iPhone in a Mac. You could start recording via your Mac, but use the instructions we shared above and record everything you do with a built-in iOS 11 feature. Plugging an iPhone in a Mac is just for having an excellent status bar with a 100% charged battery and a full signal. Moreover, you will have a video on your Mac quicker and will be able to edit it there with QuickTime. There are also many applications in the App Store, however, using QuickTime is absolutely free, while other apps have special tariffs. In the beta version of iOS 11 this feature can capture just the picture from your display without sounds from the app you are recording. Though, you can enable sound recording with a built-in mic. 3D touch the screen recording in Control Center and choose 'Microphone Audio'. You can find it at the bottom. Why Can You Need Screen Recording in iOS? The most obvious benefit of this feature is sharing everything you do with your screen with others. It may be helpful in case you family members face troubles with specific applications. Tell them to record their screen and to show you the issue. Screen recording may be also useful for teaching someone how to do exact things in iOS 11. Create a handy step-by-step walkthrough and share it with people. What's more, third-party applications created for screen recording will rethink their privacy and prices. So, as you see, the screen recording feature may be effective for solving everyday issues. Have you already tried how it works? Please share your experience in the comments, if you have. You can also share some specific tips and tricks of using it.